RoboBusiness is North America’s leading event for the development, commercialization and implementation of robotics. It will be held next month at the Santa Clara, CA Convention Center from Sep. 25-27. If you are part of the following distinct communities within the robotics ecosystem, you might want to attend. Robotic development, engineers, system integrators, manufacturing, warehousing and supply chain, measurement of robotic and automation solutions, robotic design engineers along with software and mechanical engineers, government agencies, finance, and investors, start-up companies, along with senior executives, founders and innovators with the desire to create a successful innovation company. Meet 100 robotic solution providers, suppliers and enabling technology innovators while networking with 2000 attendees. There will be distinct educational themes and 120 presenters. The themes will be Component Technology Trends and Developments; Commercialization Strategies, Financing and Market Opportunities; Robotic Design & Engineering; and Successful Implementation Strategies for Warehousing and Manufacturing. Artificial intelligence is the most powerful technology of our time. 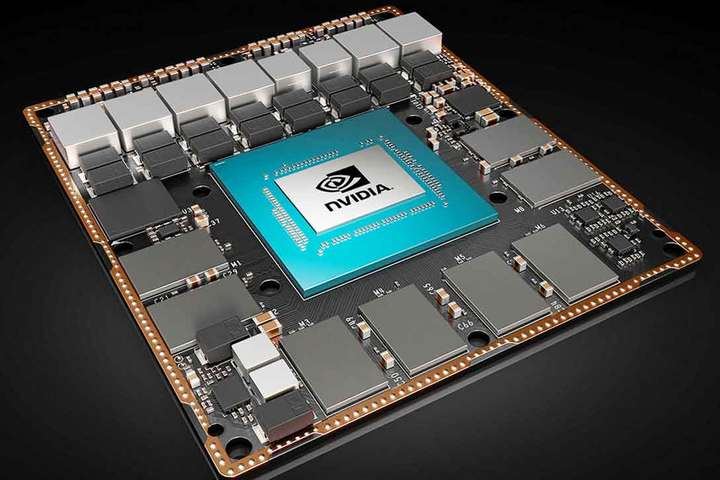 Learn how AI is critical to driving robotics breakthroughs, highlight partner success stories across different industries, and dive deeper into what NVIDIA is doing with the Isaac robotics platform that combines powerful hardware with a robust SDK. The journey of robotics will cover current market trends, challenges and opportunities, while the New Wave of robotic grasping technology is based on hybrid methods that combine analytic models to bootstrap Deep Learning models, where data and code is exchanged via the Cloud using emerging advances in cloud computing and big data. Understanding of the potential safety issues facing the adoption of AI robotics in the workplace is essential. The ethical and moral considerations of artificial intelligence and robotics will be discussed. Legislative and regulatory responses will be a factor that may arise as employers implement artificially intelligent machines in the workplace. Learn your company’s liability when deploying robots, and who is ultimately responsible for safety assessments? The focus of the Robo Supplier and Tech Forum is to discuss how and where the next generation technologies are hitting the market and how component technology developers and suppliers can and are adapting. The forum will highlight the latest in emerging technological advancements and trends in robotics and AR/VR and how they are affecting and impacting robotic solutions and component developers. Make sure that you do not miss the Expo. Here, you will be able to compare and test the leading and up-and-coming solutions that can fuel your business. Meet the startups that are poised to disrupt and make waves in the Startup Zone. Visit the Expo Theater for Q&A sessions. Since RoboBusiness introduced many of today’s well-known products to the world, such as Baxter, UBR-1 & Otto, be the first to witness tomorrow’s innovative products. The RoboBusiness Startup Incubator Center is a popular feature within the RoboBusiness Expo. It is designed to feature innovations from early stage companies, resources, training, investor meet-ups and so much more. Let’s take a short tour of the exciting exhibitors. Bot3’s VSLAM technology allows their robots to build a reliable map to detect its surroundings and identify its whereabouts. VSLAM turns the facility’s ceiling into a constellation, letting the robot navigate without getting lost by adopting complex filtering algorithms, artificial intelligence, noise prediction and operation correction. Fetch Robotics builds robotic systems for the logistics industry. It is the market’s only unified cloud-driven solution. 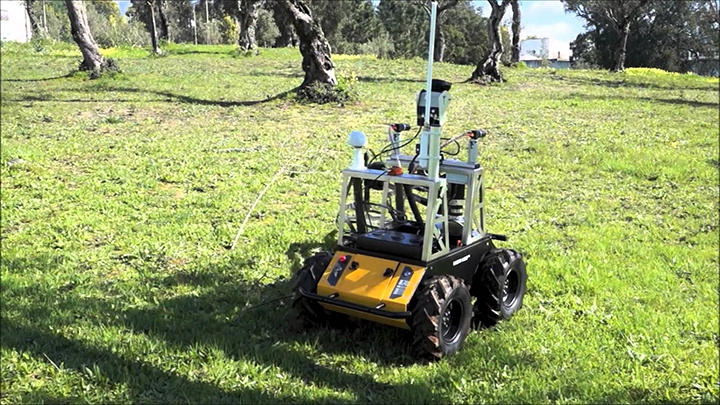 The Fetch Robotics' system is comprised of a mobile base (called Freight) and an advanced mobile manipulator (called Fetch). 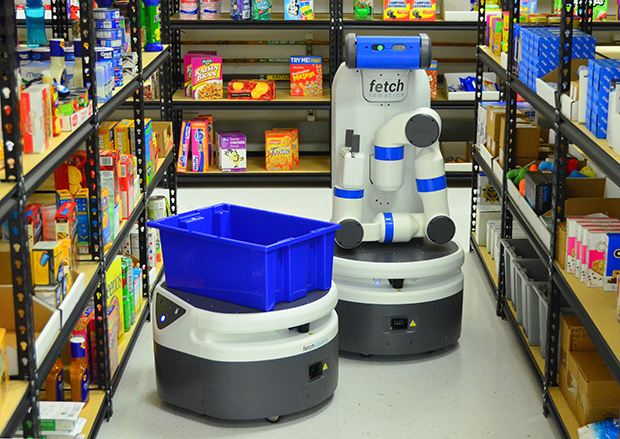 Fetch and Freight can also use a charging dock for autonomous continuous operations; allowing the robots to charge when needed and then continue on with their tasks. In addition, the system includes accompanying software to support the robots and integrate with the warehouse environment. inOrbit is an AI-powered, cloud-based robot management service that handles much of the infrastructure work required to develop, deploy and operate smart robots at scale. 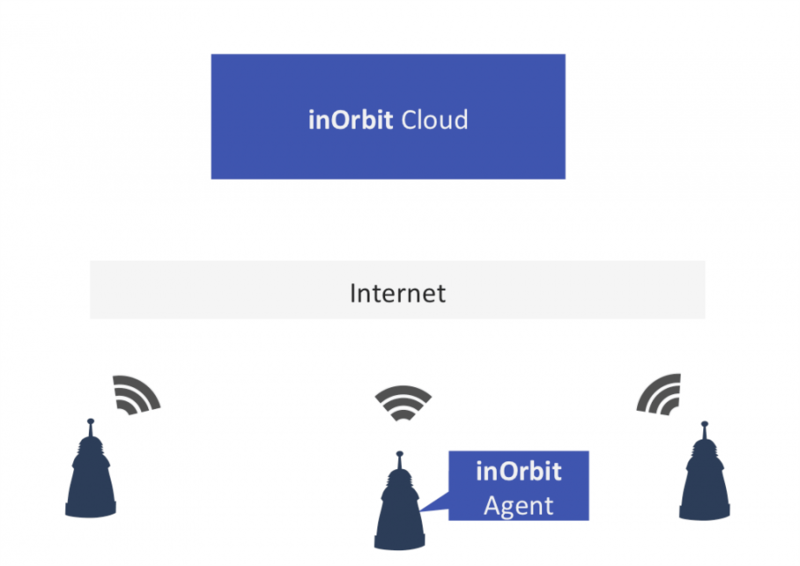 inOrbit is installed on a company’s robots in under 10 seconds to establish reliable, bi-directional connection to the cloud. Then, inOrbit will drive continuous improvements by combining AI and human input. 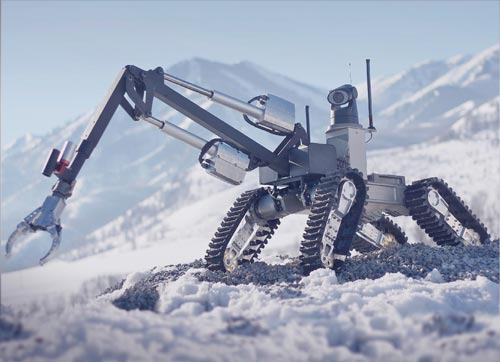 Using inOrbit Mission Control, engineers and operators can monitor individual robots in the lab or in the field as well as fleets of hundreds of robots using real-time analytics and advanced visualization. Harmonic Drive LLC designs and manufactures precision Harmonic Drive servo actuators, gearheads and gear component sets. They work with industry-leading companies of all sizes to provide both standard product and custom-engineered products. They deliver high precision, high performance solutions to meet customer’s mission critical application requirements. They have over 50 years of experience, continually developing enabling technologies for the evolving motion control market. Every Kinova robot is built to empower humans, to complement and augment their capabilities at work and at play. 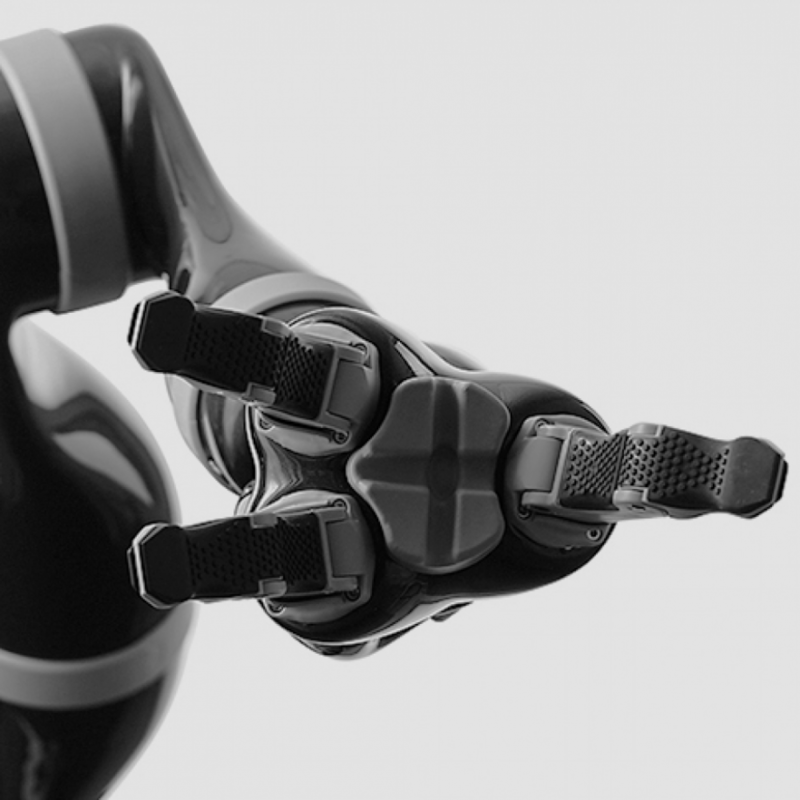 Whether an assistive robot is needed to help perform daily tasks and gain a greater sense of autonomy, or seek ultra-lightweight robotic arms to complete research and innovation projects more efficiently, their robots will help achieve more. At Kinova, it takes a lot of humanity to build one of their robots. No matter for whom or for what purpose they create a solution, there’s always a fellow human in mind, such as the man, woman and child with limited upper-limb mobility; the worker in the manufacturing plant; the surgeon in the operating room; the researcher; the first-responder and countless others. They have a solution for every human in need. Clearpath Robotics Inc. is a global robotics company dedicated to automating the world’s dullest, dirtiest, and deadliest jobs with intelligent service robots. The Company provides robot hardware, software and services to enable robot development, deployment and operation. Clearpath works with over 500 of the world’s most innovative brands in over 40 countries, serving markets that span industrial materials handling, mining, military, agriculture, aerospace and academia. For more than 17 years, ASI has been a leader in unmanned ground vehicle solutions. There clients are located around the world in the mining, agriculture, automotive, military, and manufacturing industries with remote control, teleoperated, and fully automated, coordinated multi-vehicle solutions. Each automation kit safeguards personnel and vehicles with multiple layers of hardware and software safety features. Tend is revolutionizing the manufacturing industry by combining three disruptive technologies—advanced robotics, cloud computing and artificial intelligence—into a single platform. 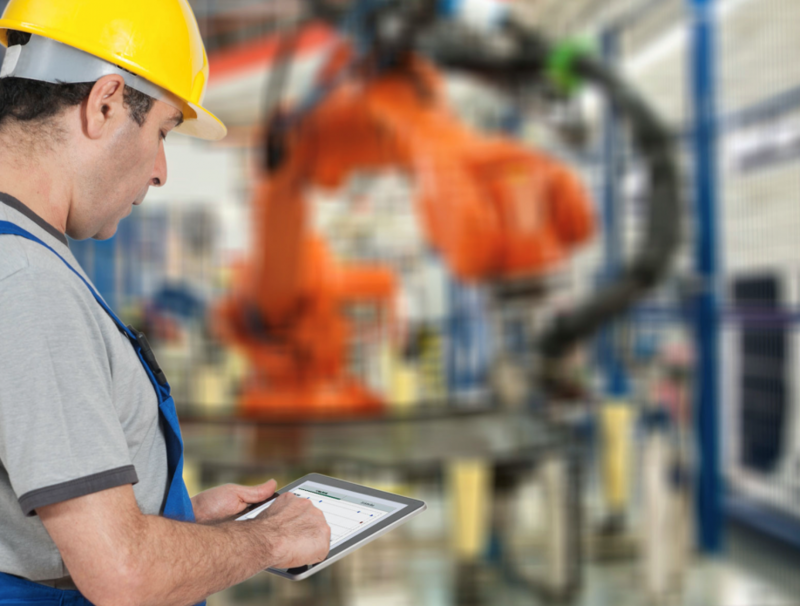 Tend in.control is the first smart cloud robotics software platform that allows manufacturers to remotely control, monitor and analyze the performance of their robots and production equipment from their mobile devices. After 14 years, RoboBusiness is the industry’s premier event for driving the technology and adoption of robotics and intelligent systems into the global marketplace. Distinctively designed to entice the leading and emerging companies, technology developers and innovators through comprehensive education, demonstrations and community, the RoboBusiness audience is unrivaled in the industry. Don’t get left behind. This is a show you shouldn’t miss.